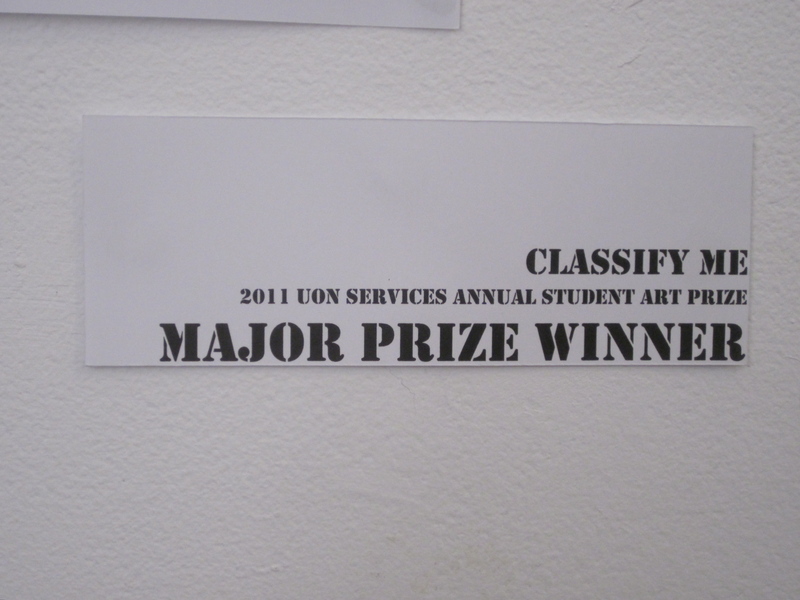 Regular readers will know that last week I made my first foray into ‘meta-museology’, entering and winning the 2011 UoN Ltd Annual Student Art Prize. 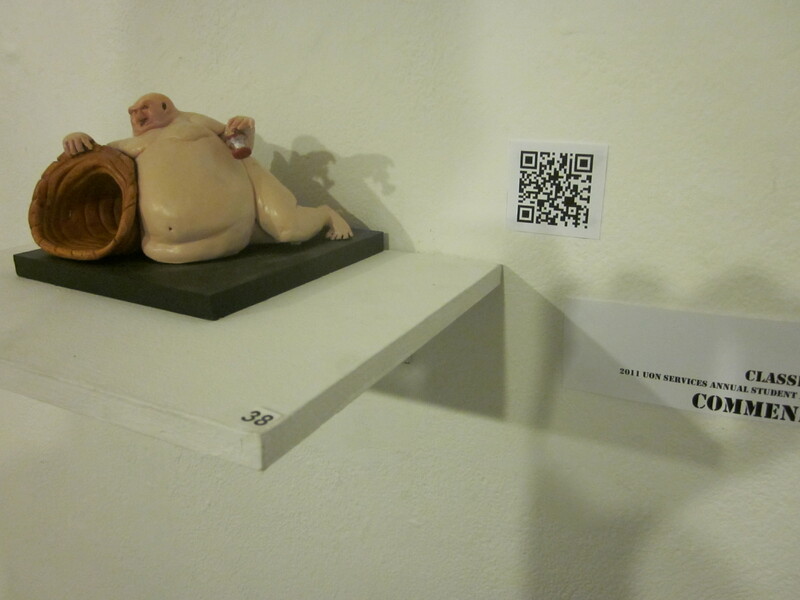 This was the first art show I’d ever entered, so to win was super exciting. I missed the actual exhibition opening (stuck on the train from the Powerhouse Museum), so winning didn’t quite seem real until Cash Brown and Jason Wing, two of the judges, came into the Art Gallery where I work on Friday to meet me. 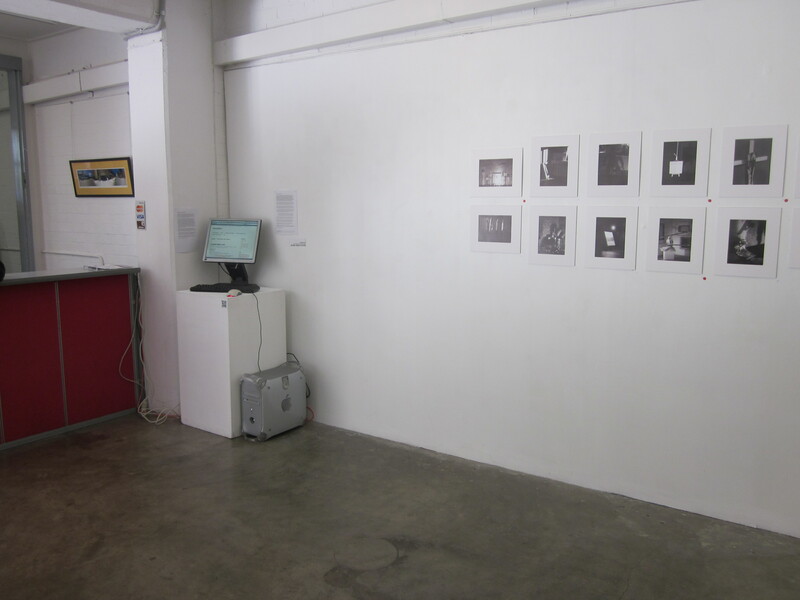 It was lovely to chat to both of them (albeit briefly), and to hear them talk about what they liked in the work. Both Cash and Jason were very encouraging, with Cash even suggesting I should look at trying to organise a work for the International Symposium of the Electronic-Arts in the coming years. That might be a slightly ambitious step, but it’s definitely something to think about. The other thing that was a bit fun about their visit however was their mention that apparently my win shocked a few people and has been reasonably controversial, which is no great surprise. Just like a museum without objects, winning an art prize with a concept rather than an object – a ‘thing’ – challenges and questions the idea of what art is. After all, an idea does not necessarily require skill, unlike a painstakingly made painting or sculpture. There is a sense that anyone could have an idea, whereas only an ‘artist’ can create a masterpiece. Again, we find ourselves facing an issue of classification and whether simply calling something art makes it so. Additionally, it is very hard to put a price on an idea, and even harder to accumulate wealth by investing in concepts. The art market is driven in part by the sense that art is an investment that over time will bring financial gains. Similarly, museum objects have a quantifiable “thingness” that justifies their existence, and so a museum without objects is a difficult thing to argue for – particularly when public funding is at stake, and many multiple projects/institutions are competing for limited money. “Things” have weight, value, and a tangibility. They are something we can hold onto, and that solidness makes them seem more ‘real’, more concrete. Concepts, stories and ideas have no weight to them. There is nothing that pins them down and ties them to the world. They are difficult to catch and trust, and cannot be expected to tell the same story into the future (though the same doubts can actually be cast on all objects, since meaning is constantly remade and reconstructed by context). In much the same way as we trust that photographs capture something that really happened (even knowing how easily they can be manipulated), objects have a claim to truth simply because we can feel them, and trust that bodily reaction to them. And that’s probably something something worth keeping in mind when creating in-museum displays too… after all, no matter how complete the concept behind my work of art in this exhibition, the actual display is pretty uncharismatic to say the least. It’s no wonder that my win caused a bit of a stir. And my favourite (unexpected) thing.